Before I get to today's LTPT, I just need to say that Balloon Kid better be grateful he's not mine. Honorary Degrees: Do they hold any clout? Should you call yourself "Doctor" if your PhD is only honorary? 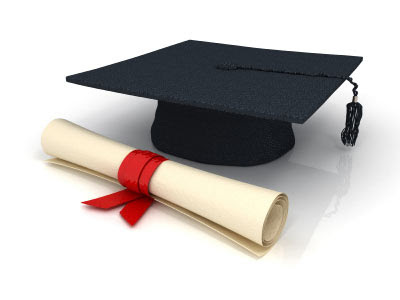 Does the university issuing the honorary degree make a difference? For example, does an honorary degree from Harvard have more substance than one from your local state college? Also, if one has an honorary degree and they list the degree in their credentials but leave off the part about it being honorary, is that being dishonest? I think if your PhD is only honorary you should not call yourself doctor. I also think that when listing your credentials, you need to state that your honorary degrees are just that--honorary. I think it's completely dishonest to say you have a PhD in (whatever subject) and not mention that you didn't actually attend any classes or do the work to earn it. I will even go so far as to say that I think honorary degrees are a slap in the face to those who have paid the tuition and put in the hours and effort to earn the degree. I will admit that I give more credence to honorary degrees issued by ivy league schools than those issued by schools with lower academic standards. I guess that makes me an education snob.